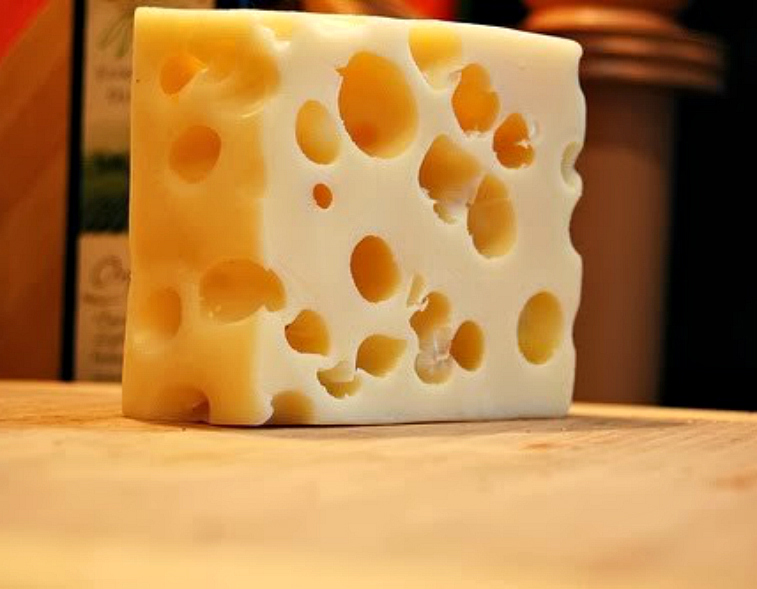 An average American consumes around 32 lbs of cheese every year. The two among the popular cheeses in the USA are the cheddar cheese and Mozzarella cheese. As obesity in America increases, learning whether consuming cheese contributes to problems with weight may help you in deciding whether to eat this food which is relatively high in calories. Any food may result in weight gain in case you consume excess of it so that you ingest extra calories than are required for the activities of your daily life. In case you have gained weight recently, you may suspect cheese, due to its high calorie and fat content, as the most likely culprit. But consumption of cheese may not necessarily result in weight gain, particularly when it is consumed in moderate amounts. Even small quantity of cheese contains lots of calories. 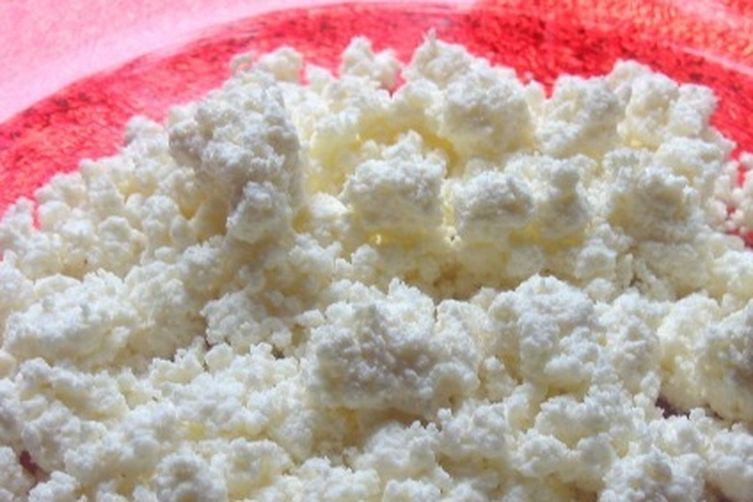 128 calories are present in an oz of goat cheese (the size of your thumb or 3 dice). Other cheeses (full fat) such as Gouda, Parmesan, Edam, Roquefort and Romano cheese have greater than 100 calories in an oz. Cheese has high energy density implying that lots of calories are present per gram of cheese. Does cheese make you fat? In case your diet consists of mainly foods that are energy dense including cheese then it is more likely that you are having excessive calories. Foods that have low energy density including vegetables and fruits acquire greater space in the stomach; hence, you feel full in spite of consuming lesser calories. This is why they are better than cheese if you want to lose weight or maintain weight at an optimum level. 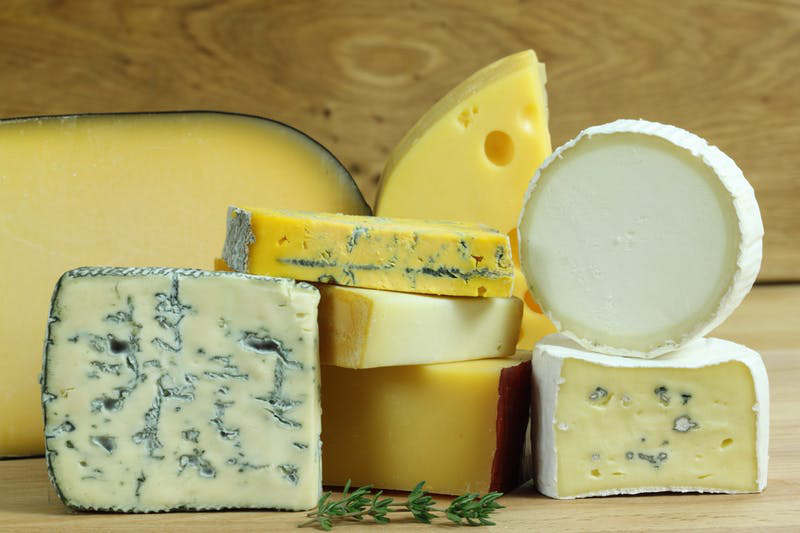 While there is a possibility that consuming cheese may result in weight gain; however, according to researches published in the year 2006 in The American Journal of Clinical Nutrition and in the year 2011 in The New England Journal of Medicine no association was found between weight gain and consumption of cheese. In fact, it was found in the study published in the AJCN that consuming cheese in moderate amounts results in loss of weight. Weight gain can be made less likely by consuming cheese in moderate amounts and selecting cheeses that are low in calories. 60 to 80 calories in one serving are present in reduced fat cheeses; moreover, you may choose nonfat cheeses and further decrease the calories to fewer than 50 calories in one serving and include cheese easily in your healthy diet. In case you don’t find reduced fat cheese tasty, consume cheese less frequently, eat smaller portions or choose cheeses that are strongly flavored such as blue cheese or Parmesan as they may give you a big boost of flavor with a small quantity of cheese. Does cheese make you fat? Cheese has bad reputation attached with it when talking about weight loss. Cheese is usually among the first foods that are banished; however, it’s time to make a change. According to studies eating greater than 3 servings of milk and milk products daily can decrease the risk of metabolic syndrome and obesity. So after hearing this good news, let’s enjoy the 5 best cheeses, which you can include in your diet without worrying about weight gain. It is a staple of Mediterranean diet and according to studies it may decrease the risk of cardiovascular disease. It has lower amount of fat in comparison to other variety of cheeses and it has a tangy flavor due to which you can do with just a small quantity filled in a wrap or topped on a salad. Moreover, it is rich in calcium and maintains the strength of your bones. 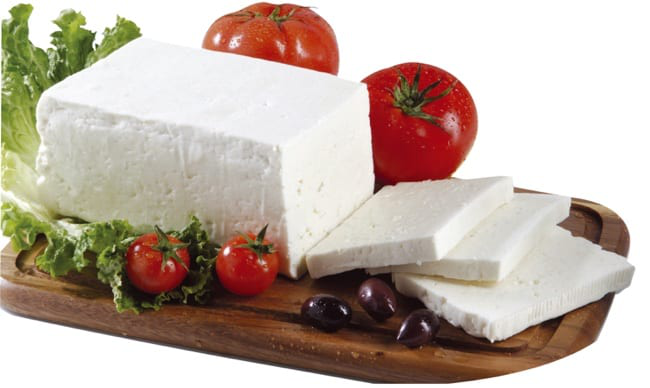 You get 14% of the recommended daily intake of calcium in one serving of feta. Take a bowl of low-fat (1%-2% milk fat so that saturated fat is kept low) cottage cheese and add some fruits and you get a breakfast full of protein that will keep you full till lunch time. You get a complete meal under 200 calories. 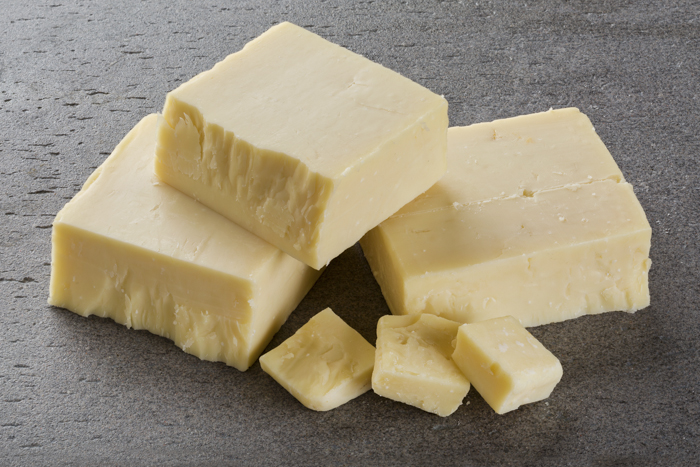 Cheddar cheese has a light taste, which makes it a versatile cheese with lower calories that can combine well with multiple dishes. Whether you desire to give the sandwich a flavor boost or spruce up an omelet, use cheddar cheese and you get adequate quantity of calcium and protein in addition. It is rich in vitamin B12, providing you 14% of recommended daily allowance in one serving. It is referred as energy vitamin and it also helps in promoting healthy teeth and strong bones. It is a staple of Italian dishes and it provides many nutrients than just adding delicious flavor to dishes. 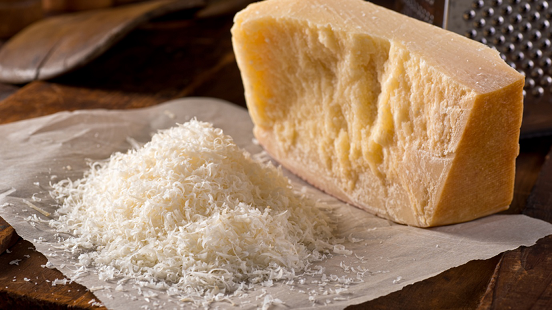 You can make your meal tasty by just sprinkling small amount of parmesan and it is packed full of similar quantity of calcium, minerals and proteins as contained in other cheeses. It is perfect for adding flavor to a dish of pasta or roasted vegetables.